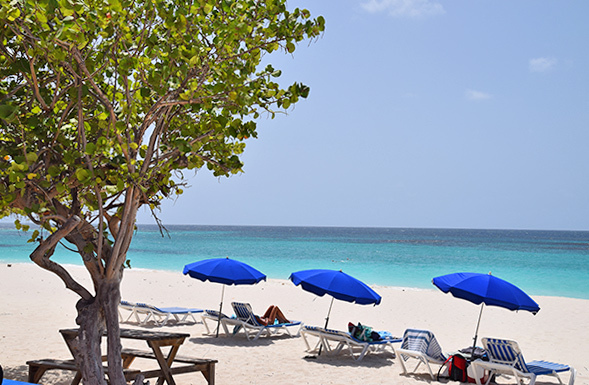 Tucked away on the quiet side of the beach, Tropical Sunset is a top choice for a peaceful day on Shoal Bay East. Here among the sea grape trees, serenity rules supreme. 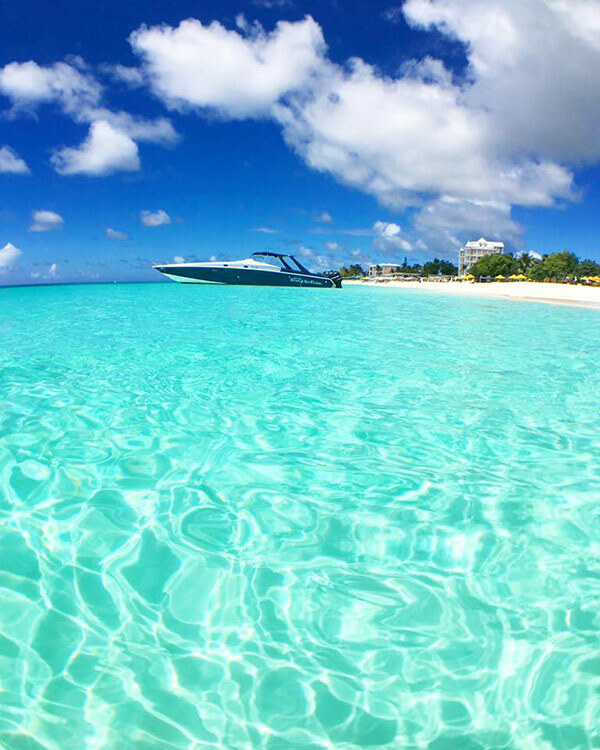 Shoal Bay East is one of Anguilla's most popular beaches. From CondeNast travel writers, to tourists, to locals, she is arguably the island's most widely-loved and most famous beach. Long and wide, Shoal Bay is known for its powdery-fine sands, clear, blue waters and its "elbow bend" (referred to as "the bend") that leads to another stretch of sand facing northeast. With such natural beauty, it is no surprise that many hotels and restaurants call Shoal Bay home. Madeariman, Shoal Bay Villas and Zemi Beach House all line the shore. 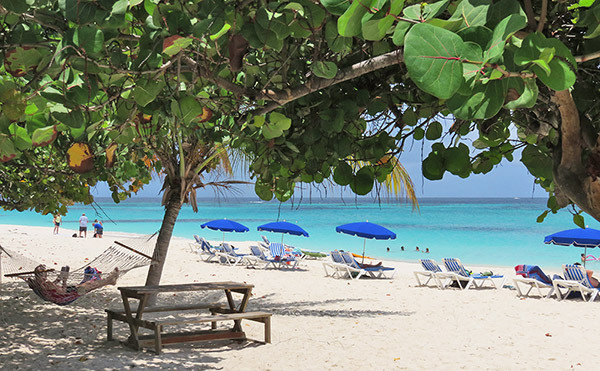 Shoal Bay is perhaps the "busiest" beach on the island, which is still "quiet" compared to beaches around the Caribbean. For the quietest, calmest experience on Shoal Bay East? 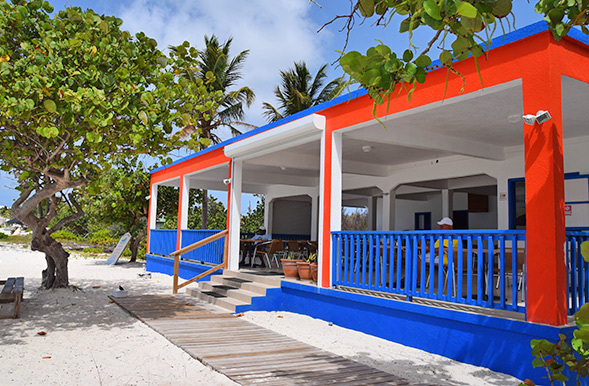 A laidback, little beach restaurant, Tropical Sunset has a front row view of Shoal Bay's impressive stretch of sand and blue waters. Yet, she's tucked away, set back from the concentration of restaurants in the beach's middle. If it's relaxation you seek, Tropical Sunset is the place to be. 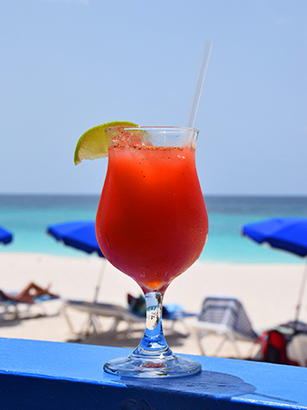 With good food and drink at a reasonable price, beach chairs and hammocks, too, Tropical Sunset has become a favorite way to enjoy Shoal Bay. 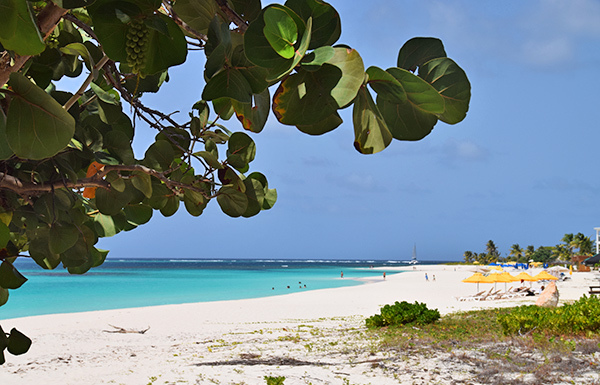 As you step out of the car, your feet soften into the powdery-white sands of Shoal Bay East. The tall grape trees frame the sandy pathway to the restaurant. Relaxing reggae rings in your ears as you enter the open-air beachfront restaurant. Tropical Sunset offers covered seating inside its laidback and unpretentious Caribbean restaurant. For a vivid sea view, take a front row table. 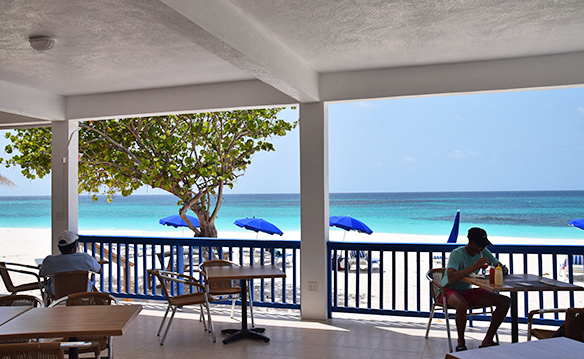 No matter where you sit, though, Tropical Sunset's casual, relaxed feel sinks right in and that ideal location on Shoal Bay is always in view. Tranquility surrounds you here on this part of Shoal Bay East. 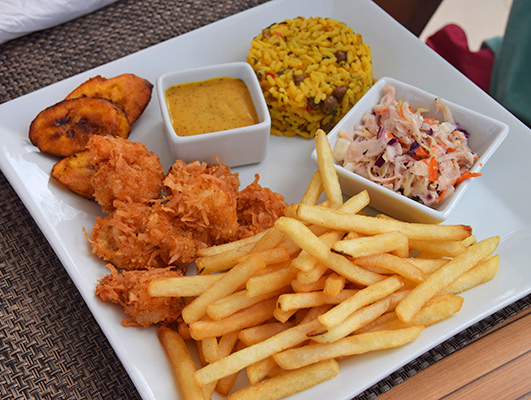 Not only does Tropical Sunset tout a desirable location, set apart from the other businesses, they also serve good food. 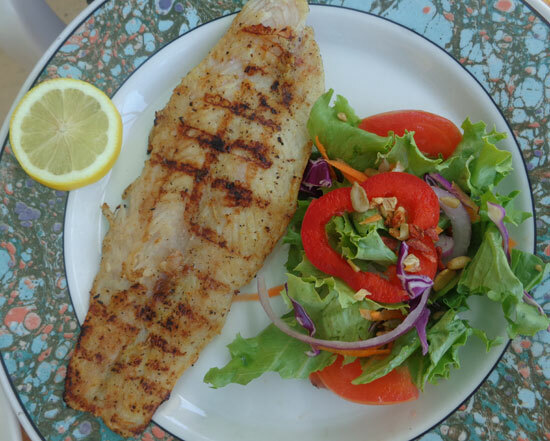 The menu has a variety of options, from salads and sandwiches (including a hamburger and fish sandwich) to combos (ribs and chicken), to a grilled fish entree and lobster. They also have a daily specials menu that is written on a chalk board. 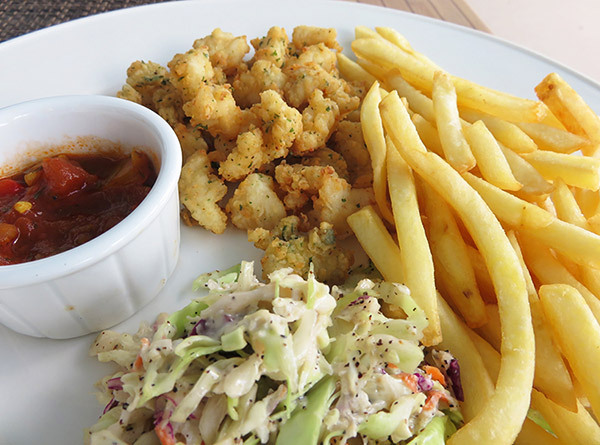 On it, you'll find items such as crab fritters and coconut crusted snapper. So fresh, you can even see the staff opening conch shells at the side of the restaurant! This is seriously fresh conch. The citrus marinade is the ceviche's perfect complement. If it's cooked conch you prefer, Tropical Sunset's cracked conch hooks you from first bite. 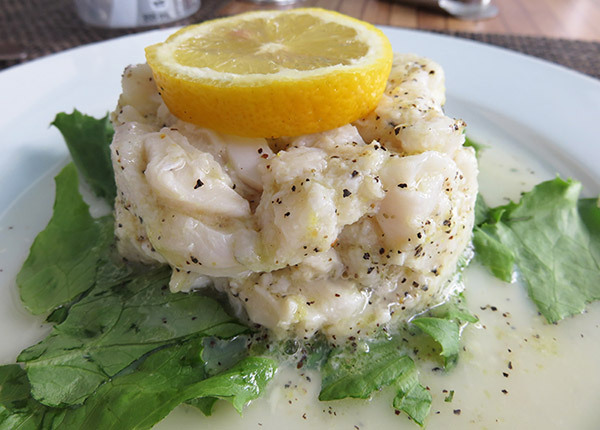 A rarity in Anguilla, Tropical Sunset is one of the few Anguilla restaurants that serve this Bahamian favorite. 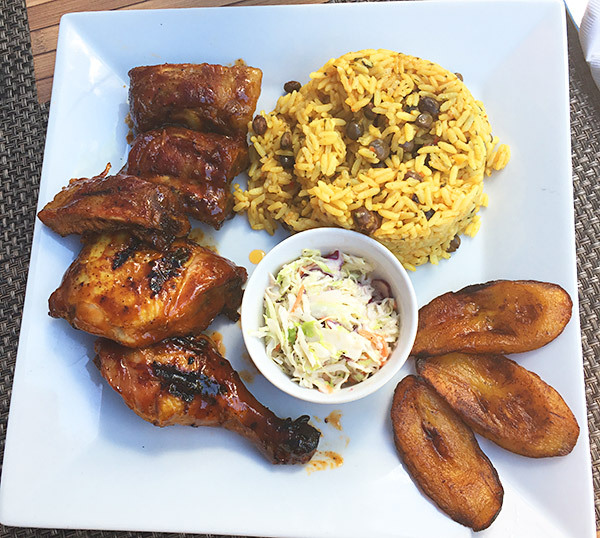 When it comes to non-seafood options, Tropical Sunset offers BBQ with all of the trimmings, including rice and peas, coleslaw and plantain. 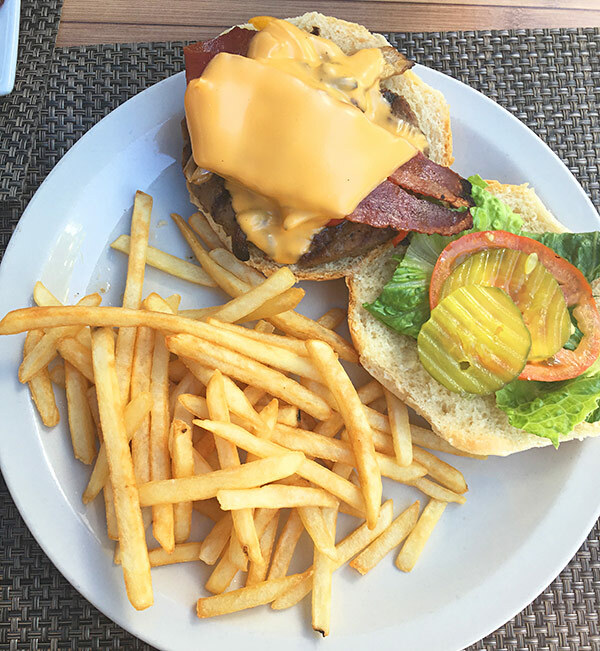 Bring your appetite for the Tropical Sunset burger. Bacon, cheese and mushrooms with sliced lettuce, tomato and pickles top the beef patty and fluffy bun. 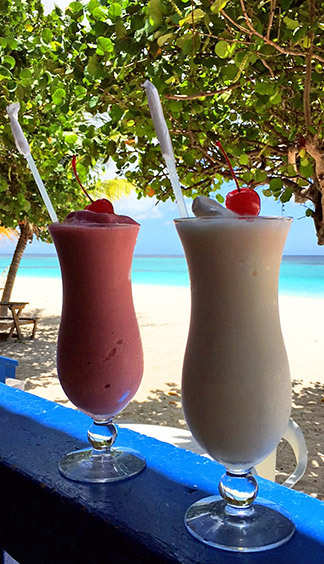 To top it all off, Tropical Sunset has one of the best pina coladas on the island. They make it from scratch and you can taste it! The pina colada is only rivaled by the strawberry daiquiri. Thick in consistency, it's rich in very berry flavor! The plump cherry on top of the semi-frozen juices is literally the cherry on top. The price is right too. Overall, the prices at this Anguilla restaurant are very fair. The highest priced entree is the lobster at $38 US. That is one of the lower priced lobsters you'll see in Anguilla (with exception to the $5 lobsters you'll see during Anguilla's Festival del Mar). Swaying among sea grape trees, it is a peaceful escape. 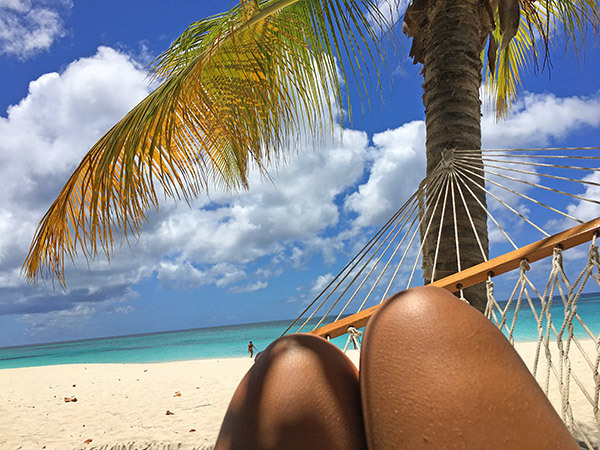 After a good nap drifting off to the sound of rustling leaves and gently breaking ocean waves, the unbelievable view of Anguilla’s turquoise waters beckons you. Here, the sea stretches out with an ombre effect of gradually darkening shades of blue. Anguilla is a true tropical paradise, and Tropical Sunset showcases it all so effortlessly on a desirable sliver of Shoal Bay, at a competitive price and with hospitable service. Directions: Tropical Sunset opens around 9:30am and starts closing up shop around 5pm. To reach it by automobile, drive toward Shoal Bay as though you are going down to Madeariman. Before you reach the beach, you will see a Tropical Sunset sign on a paved road. Take that left on the paved road and then take a right (which is marked with another sign) and drive down that dirt road to the sea. You can park anywhere and will see Tropical Sunset sitting beautifully amidst the sea grape trees. If you are already on Shoal Bay and want to walk, just head west! Tropical Sunset is painted white with blue accents and will have anywhere from 5-8 chair/umbrellas set up along with a few picnic-style tables on the sand. Relax, enjoy and stick around for the "Tropical Sunset" which you will be able to see off to your left! Good for a quiet day on Shoal Bay East, Tropical Sunset is tucked away from the busier parts of Shoal Bay. More Info: Free parking, free WiFi, $10 for 2 beach chairs and 1 umbrella.